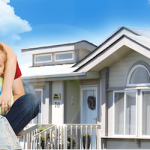 Kit HomeBuilders West has a long and respected history of offering high quality, affordable manufactured homes for sale via a large network of authorized retailers in the northwest and upper midwest. The 2006 square foot Pinehurst Model 2506 with three bedrooms and two baths, plus a multi-purpose activity room, exemplifies the quality of construction, design, and amenities that appeal to the most discriminating home buyer. The following is a unique 3D virtual tour of the beautiful Pinehurst Model 2506. As you proceed with your “virtual walking tour” you will likely appreciate the open concept floor plan that encompasses an expansive living room, dining room, and a gourmet-type kitchen with a large island, ideal for entertaining gatherings of family and friends. Also note the inviting and privately located master bedroom and luxurious master bath, as well as the convenient utility and mudroom with clothes hanging rack, bench, and extra tall and deep overhead storage cabinetry. You can almost feel the the natural light and illumination emanating from the large dual paned windows that permeate throughout the home. As you progress through home don’t forget to get the full effect of the 360 degree experience by clicking “Dollhouse” and “Floor plan” for a bird’s eye view of the home. 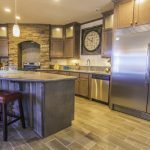 Shoppers are invited to review all 84 customizable manufactured homes and modular floor plans and models for sale by retailers of Kit Homebuilders West here at ManufacturedHomes.com. Feel free to browse videos of selected models and review construction specifications. Simply type your town on the search bar to locate a retailer near you. Securing a no-obligation price quote is as easy as clicking “GET CUSTOM PRICE QUOTE” on any of the displayed floor plans. What’s a Good Timeline For The Manufactured Home Building Process?